Afternoon Tea has always been a British tradition. 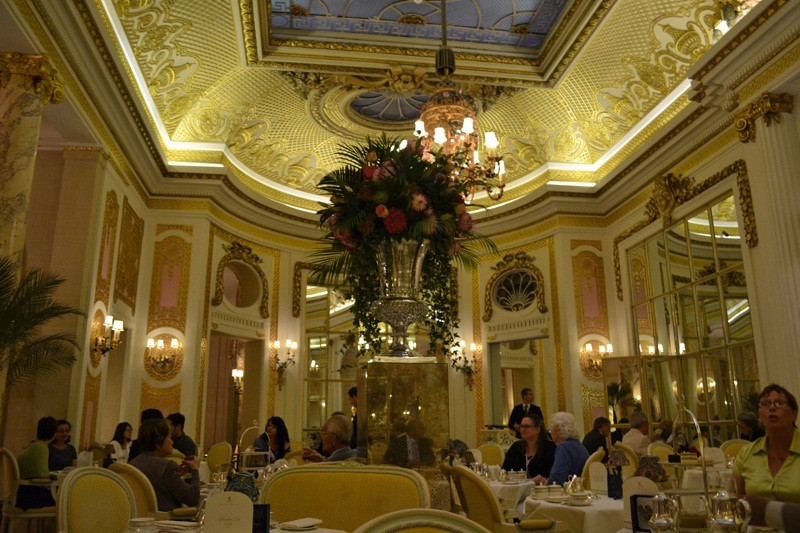 On our last evening in London, my husband wanted me to experience this quintessentially English practice and what better place to have it than at The Ritz, where it has become an institution. Arriving in a London Taxi. Just like London's telephone booths and double-decker buses, these iconic black cabs are synonymous with Great Britain. 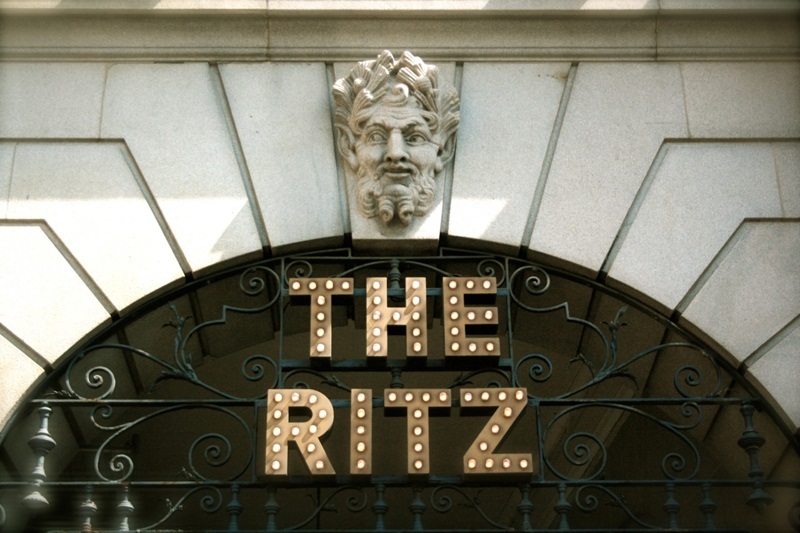 The Ritz is a luxury 5-star hotel located along Piccadilly and their most famous facility is the Palm Court, the setting for their world famous Afternoon Tea. It has once again been included in this year’s Tea Guild Awards, which is like the Oscars for the Tea World. 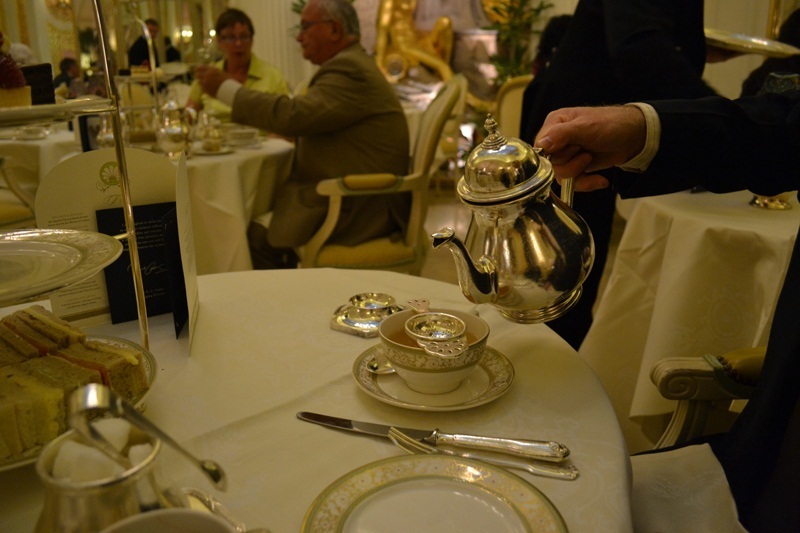 Afternoon Tea is traditionally served from silver tea pots and utensils as well as bone China. Charles chose Darjeeling and I selected Lemon Tea. 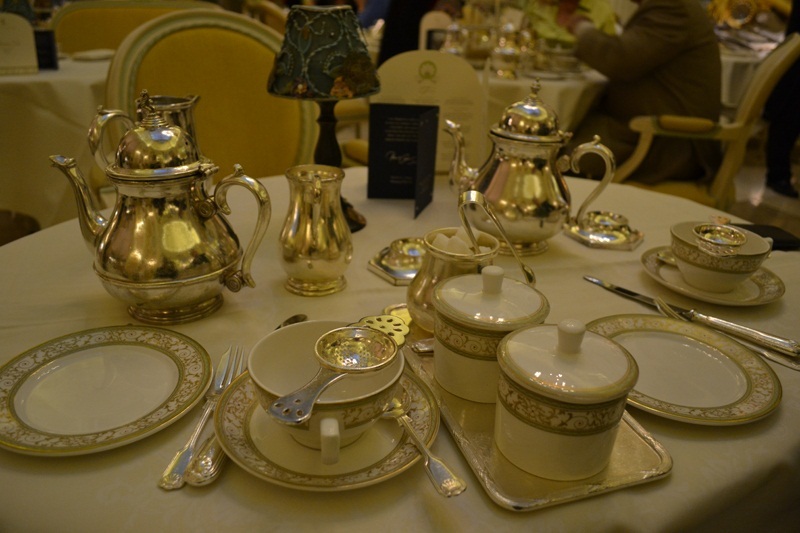 The Ritz Tea consists of an assortment of finger sandwiches, scones, tea pastries and cakes. These freshly baked scones are usually eaten with cornish clotted cream and strawberry preserve― Charles' favorite part of the menu. 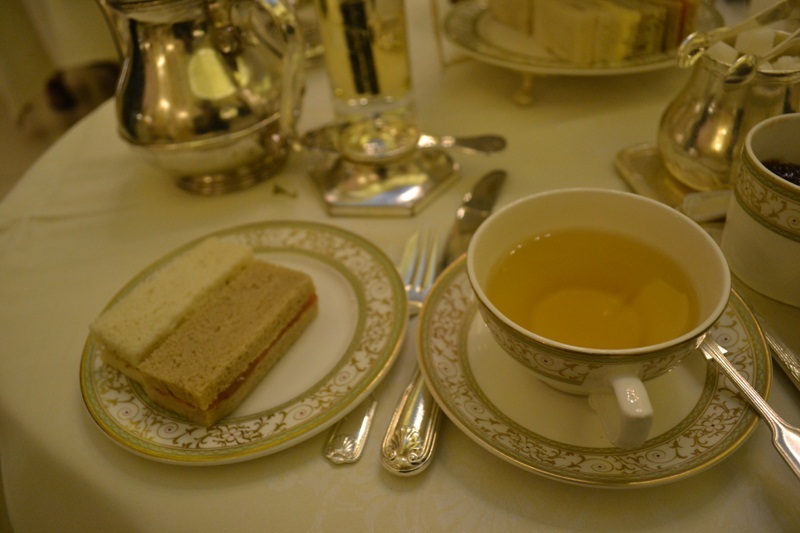 I had a really great time drinking tea and savoring the delicious treats The Ritz had to offer. 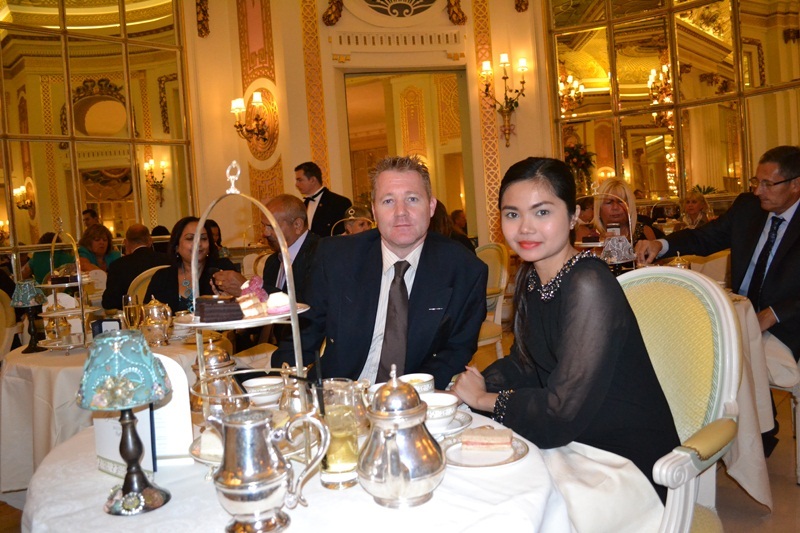 The Palm Court has such a wonderful ambiance with its resident pianist and violinist providing background music. 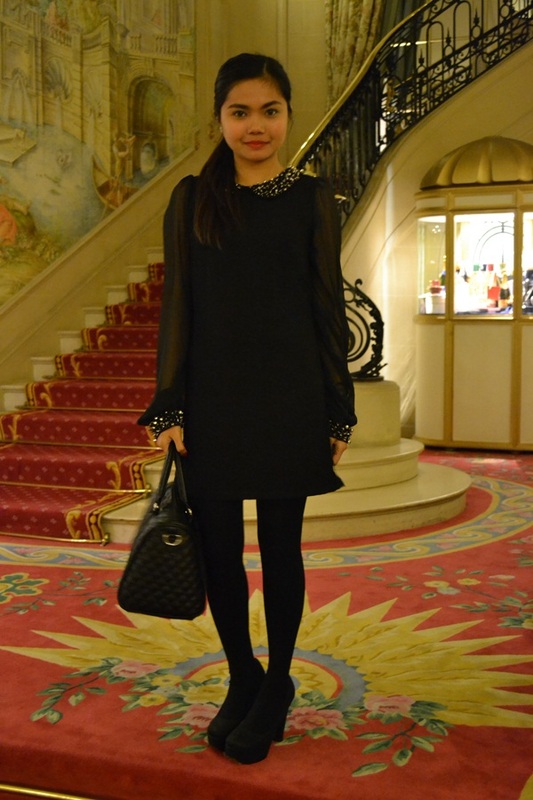 I also love that they have a strict dress code and everybody is encouraged to dress up. 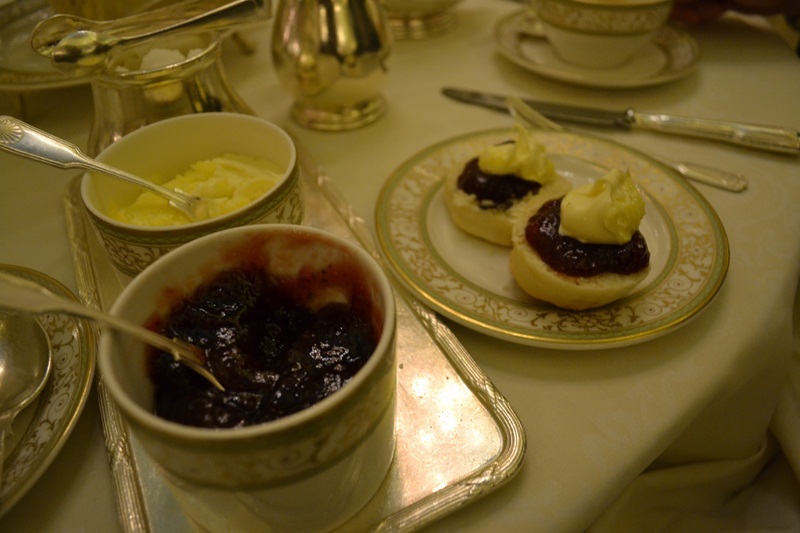 When you're in London, make sure to include Afternoon Tea in your list of things to do. how lovely! :) your london trip is really dreamy! hoping to go there someday!